This book explores test adaptation, a scientific and professional activity now spanning all of the social and behavioural sciences. 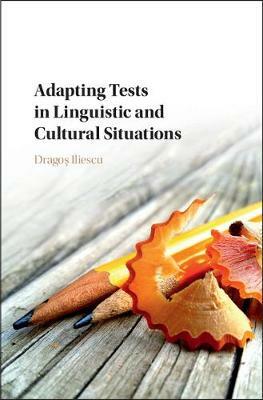 Adapting tests to various linguistic and cultural contexts is a critical process in today's globalized world, and requires a combination of knowledge and skills from psychometrics, cross-cultural psychology and others. This volume provides a step-by-step approach to cross-cultural test adaptation, emphatically presented as a mélange between science and practice. The volume is driven by the first-hand practical experience of the author in a large number of test adaptation projects in various cultures, and is supported by the consistent scientific body of knowledge accumulated over the last several decades on the topic. It is the first of its kind: an in-depth treatise and guide on why and how to adapt a test to a new culture in such a way as to preserve its psychometric value.